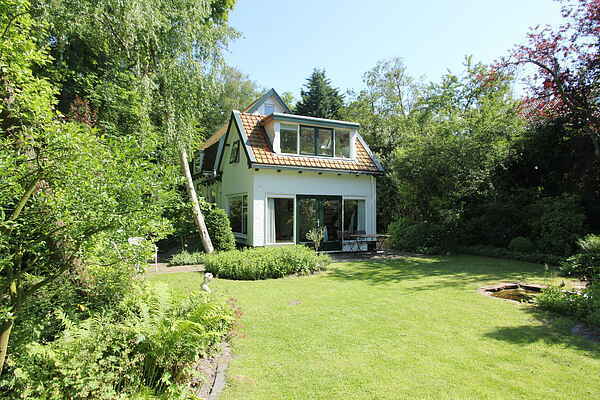 Your holiday home is situated in a lovely spot, right in the middle of the Heilooërbos woods. This home is suitable for dog lovers; you can bring your dog with you and easily take it for a walk with the forest on your doorstep. The direct surroundings offer some wonderful cycling and walking tours and 'cheese city' Alkmaar and the beach of Egmond aan Zee are within cycling distance, too. This pleasant holiday home consists of two floors. The two bedrooms are in different parts of the house. The first bedroom is situated over the conservatory and can be reached via a steep staircase. The second bedroom is situated on the first floor, where you'll find the bathroom too. The surroundings of Heiloo have plenty to offer. Walking or cycling through the woods, dunes or polders, a day at the beach, a city trip to Alkmaar... take your pick! But the place also lends itself for a quiet holiday. There are a number of good shops and restaurants in the centre of Heiloo, so you'll be able to find everything you need close to home. The holiday home enjoys a central location, Heiloo's train station is nearby. Perfect for a day trip to Amsterdam or Haarlem.